Editor’s note: All of the programs listed here, ranging from basic dinghy sailing in 8-foot prams to sail training aboard tall ships, are open to the public. 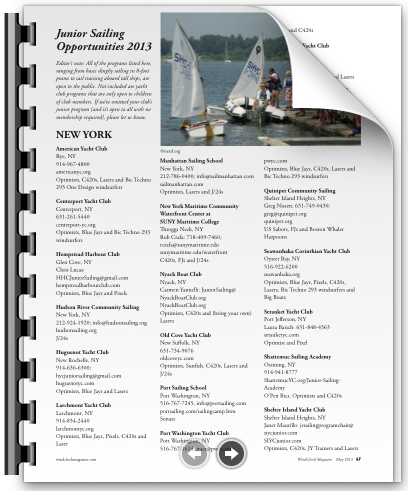 Not included are yacht club programs that are only open to children of club members. If we’ve omitted your club’s junior program (and it’s open to all with no membership required), please let us know.